Creating and maintaining a beautiful lawn is well worth the time and effort. With a little planning and regular maintenance, you too can have a lawn that will make you proud and be the envy of the neighborhood. Below, you will find a year-round lawn care schedule, offering timely tips and instructions to keep your yard in tip-top shape! Fully sodded and ready to go. For warm season lawns, rye can be put down to keep lawns green while warm season grass goes dormant. To green up a warm season lawn, overseed with annual rye in early October or after your lawn has gone dormant for the season. Annual rye will keep winter and early spring weeds from moving into a dormant lawn.Rye can be spread at a rate of five to ten pounds per one thousand square feet. Keep fallen leaves off newly seeded and existing lawns. 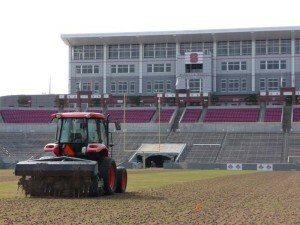 Rye can still be sown and will germinate if daytime temps reach 60 degrees F for several days. This is a good time to: Have your mower serviced and blades sharpened. Take a soil sample and send it to the NCDA for analysis. 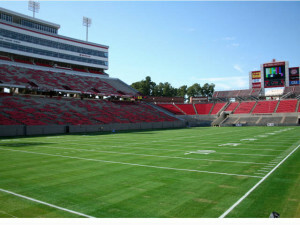 Apply a crabgrass pre-emergent herbicide around the middle of February. 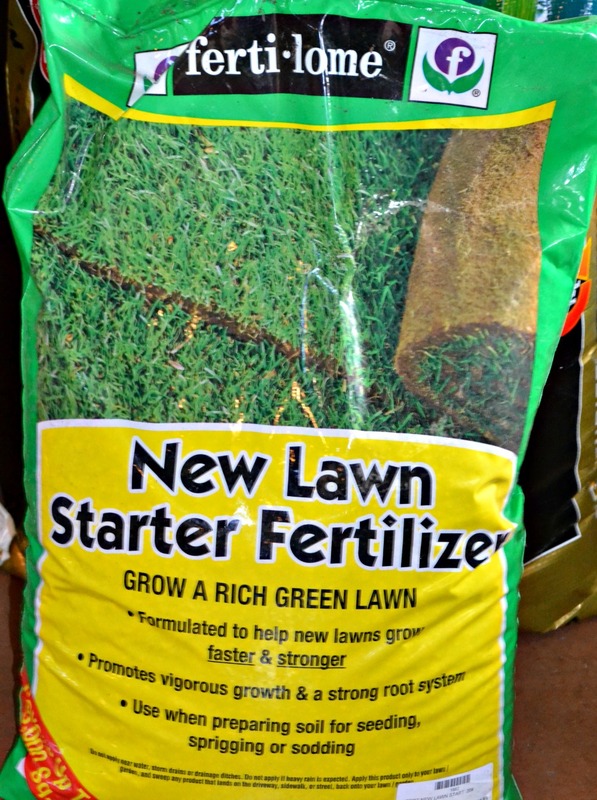 In March, you may reseed Fescue lawns and use new starter fertilizer. If not reseeding, use Weed and Feed on fescue. Fertilize warm season grasses like Zoysia, Centipede, St. Augustine or Bermuda as soon as they begin to turn green. Control weeds on warm season grasses with Image. Fertilize every other month (or up to monthly) during the growing season, May-Sept.
Control dandelions and other broadleaf weeds in lawns with Image. If you have grub problems, apply your first application of Milky Spore. Plug or seed warm season grasses starting late April. 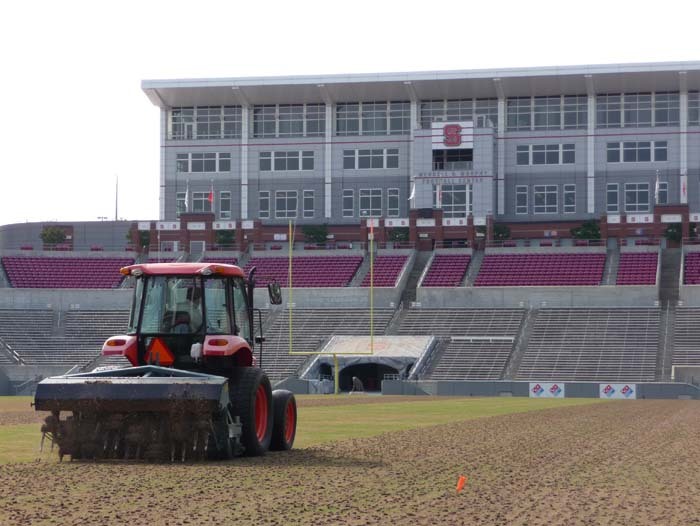 Temps should be above 50 degrees F at night for seed germination. Control weeds on fescue lawns with select herbicides. Continue to fertilize warm season grasses except centipede. 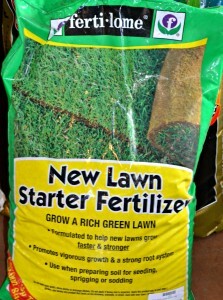 Continue to fertilize warm season lawns every other month (or up to once a month) during the growing season, May-Sept. Apply a potassium only (K) fertilizer to Centipede lawns to help it overwinter. End of Sept., reseed Fescue lawns and use new lawn starter fertilizer. If we have a dry fall, keep new Fescue lawns watered. Mow warm season lawns regularly to a height of one-inch. Keep mower blades sharp. Get your soil tested every two to three years to determine pH and other nutrient requirements. Most soil in our region requires lime every year to keep the pH in the proper range, 6.0-6.5, for most warm season lawns. Lime can be spread any time of year, but do not apply more than forty pounds per one hundred square feet in a single application.